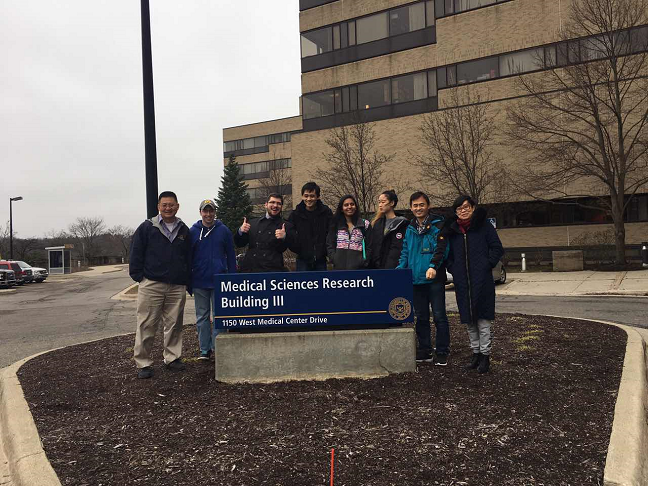 04-07-2017: He Lab pictures after a lab meeting, taken in front of UM Medical School Medical Science Research Building III (MSRB III), at Ann Arbor, Michigan. 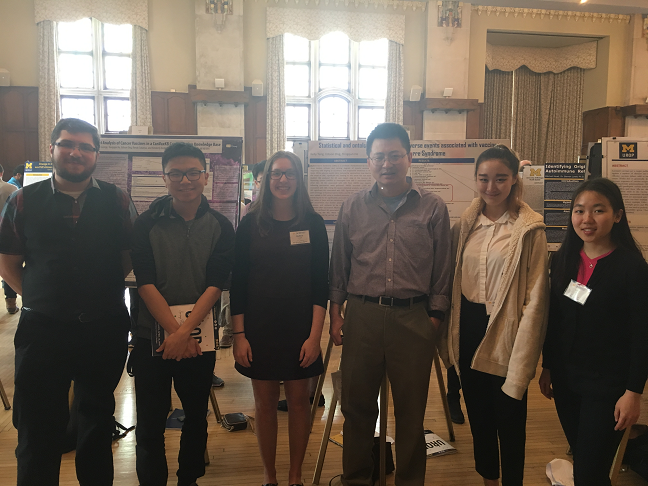 He lab members: Yongqun He (Oliver), Jordan Rinder, Omar Tibi, Edison Ong, Noemi Garg, Bingjing Yang, Haihe Wang, and Hong Yu. 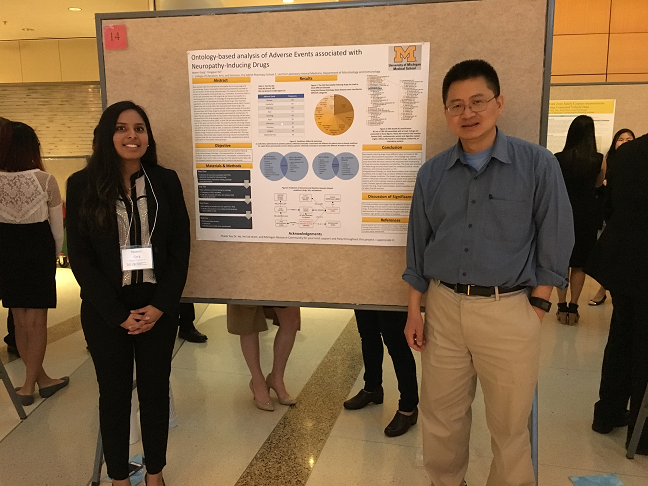 04-12-2017 (Wednesday): Michigan Research Community (MRC) Spring Research Symposium, Location: Biomedical Science Research Building, 109 Zina Pitcher PL, Ann Arbor, MI. Noemi Garg presenting in her MRC symposium. Oliver came to say Hi. 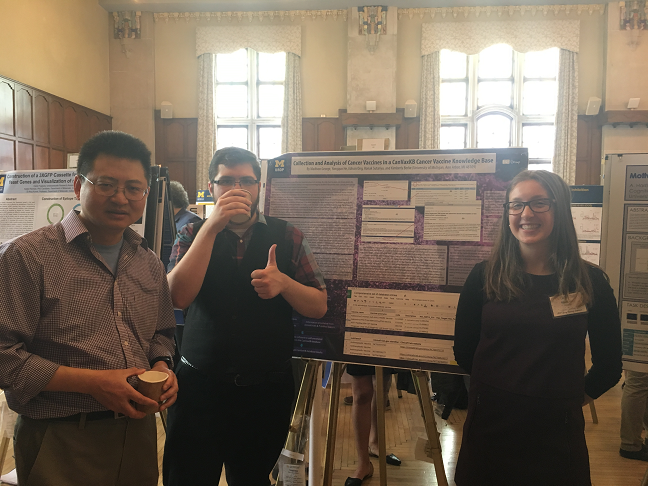 Three UROP students presenting in the annual UROP symposium. 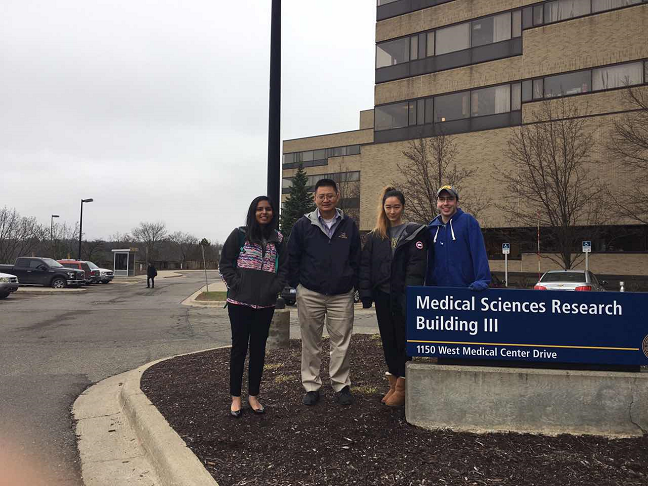 From Left to right: Madison George, Kelly Yang, and Bingjian Yang. 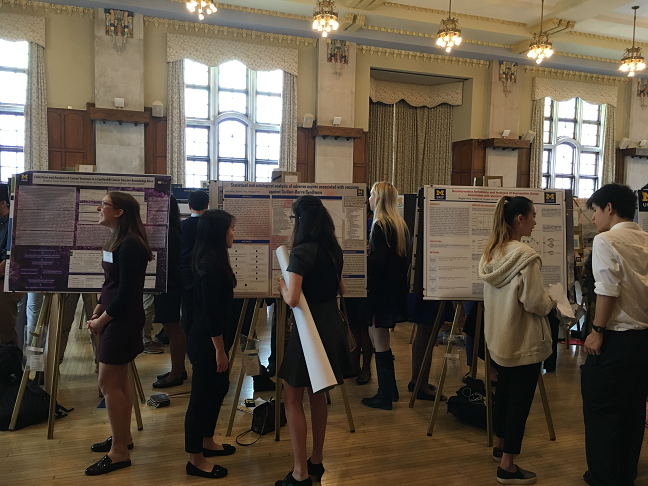 Madison George presenting her UROP research. Oliver He and Omar Tibi joined her presentation. 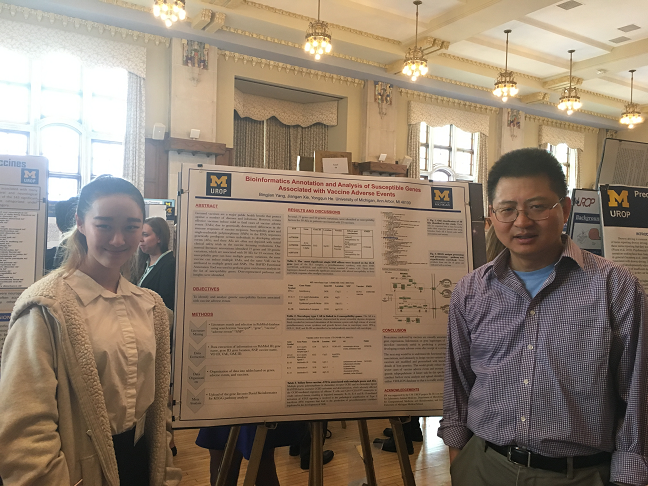 Bingjian Yang presenting her UROP research. Oliver came to her presentation. 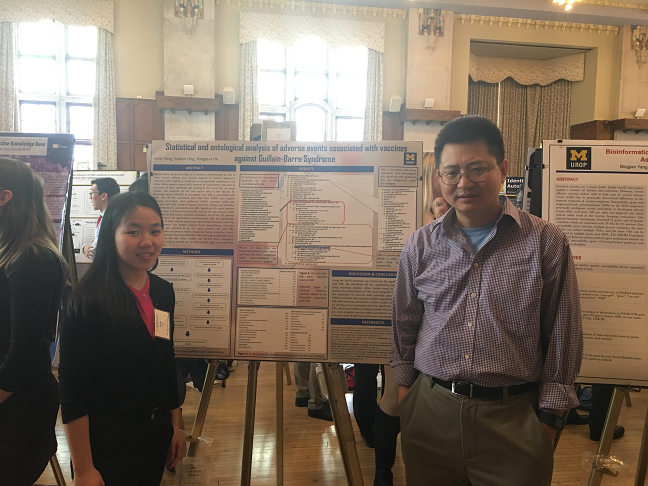 Kelly Yang presenting her UROP research. Oliver came to say Hi. 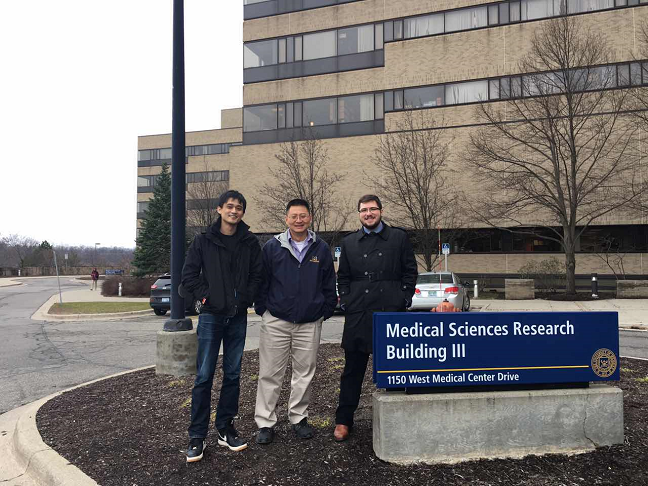 He lab get together in the 2017 UROP symposium. 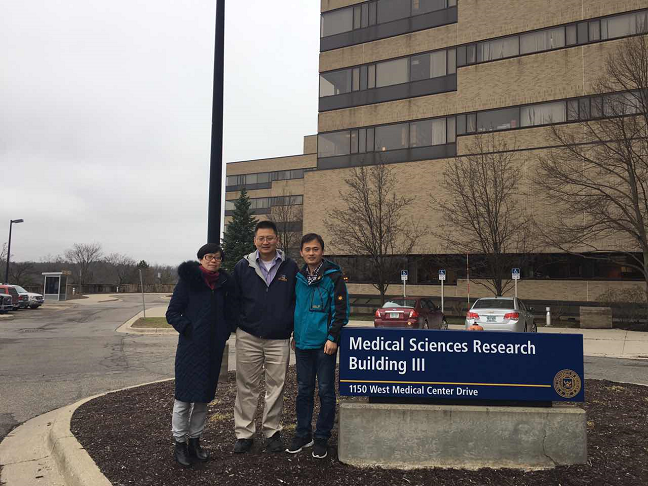 Omar Tibi, Peter Sun, and Oliver He joined the three UROP students Madison, Bingjian, and Kelly. Check Hegroup photos taken: 2016, 2015, 2014; 2013; before 2012.